We keep our eye on it or we lose track of it. We buy time and we sell time. We think we make time and make up time. We spend time saving time only to waste it somewhere else. We are all consumers of time. The problem is, though, time is not renewable. Tonight, I had dinner with a friend whom I have known about 25 years. We figured it has been at least 15 years since we last saw each other. Wow! How can I account for my own fifteen years? I cannot pinpoint exactly where I have been for all that time, but I do know there were things to do, places to go, work to be done, and the like. I’m not alone here. Seeing my friend tonight was refreshing. It was good to laugh with someone who knew me when I was young and crazy. Now, she has seen me slightly older, still crazy. As with most good friends, the relationship picked up right where it left off. Yet, there is so much of her life I do not know. Sobering realization. What I have missed brings me to shame. I know I cannot go back and reclaim those lost years, but I can make changes in my life right now to not let it happen in the future. I have a choice. What is the life lesson here? Where am I losing time? Where am I wasting time? The minutes add up to the tune of invaluable and irreplaceable. The Bible says in Ephesians 5:15-17 “Be very careful, then, how you live—not as unwise but as wise, making the most of every opportunity, because the days are evil. Therefore do not be foolish, but understand what the Lord’s will is.” Whose life am I living anyway? Is my time really my time or has it been stewarded to me? 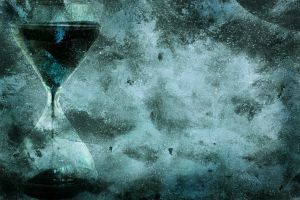 These thoughts here in my blog are not ground breaking or revolutionary, but they are points for me to ponder because I have yet to fully grasp the importance of time and managing it in a way that is wholly pleasing to God. Every minute is a gift. Every friend is a gift. I must remember both are from God and both have been stewarded to me. What do I have to show for my time that He has already given me? I cannot bring myself to answer because my feeble attempts at excuses are not worthy enough to be uttered to the One who is all knowing and ever present. All is not lost though. God is the God of second chances (or third or thirty or three hundred). According to scripture in Romans 8:1, “there is now no condemnation for those who are in Christ Jesus.” So my question to myself tonight is what am I going to do with the time I have left on this planet?